ramanathan1 – Rama Asks why the Sundara Kandam ? ramanathan3 – Finally Dr MS Ramanathan sings for us. Sundara Kandam – The celebration of 25 years of Carnatic Music in Sydney on 4 July 2009 at the Bahai Centre in Silverwater saw efforts of Director and Conceiver Dr MS Ramanathan bring several ages and groups of singers together in a musical production of a standard that stands as a tribute to the entire community of Carnatic connoisseurs who make the fibre of the voluntary organisation, the Sydney Music Circle. 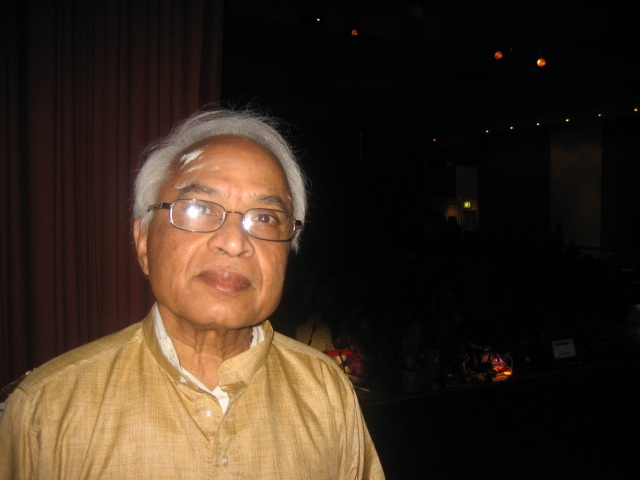 In a ground breaking achievement Dr MS Ramanathan engineered the musical depiction of the epic story of Rama and Sita in a chapter from Ramayana called the Sundara Kandam through the art of Carnatic Music. A group of first generation Australians attired in colorful silks, head crowns and tiaras, deceptively hid their Aussie accents behind the jewellery, makeup and their music. They stole the hearts of the audience with their ‘no fuss aussie’ approach to the production. Ably assisted by their teachers and accompanying artists who provided the required music when they stopped to take a breath, the children ranging from the age of four to twenty eight stole the show. A few video Excerpts can be seen below.